Description: Silver Pulsing Angry Skull Full HD VJ Loop by LIMEART. A big angry skull is jumping and pulsing with the waves made of the small silver skulls on the background. 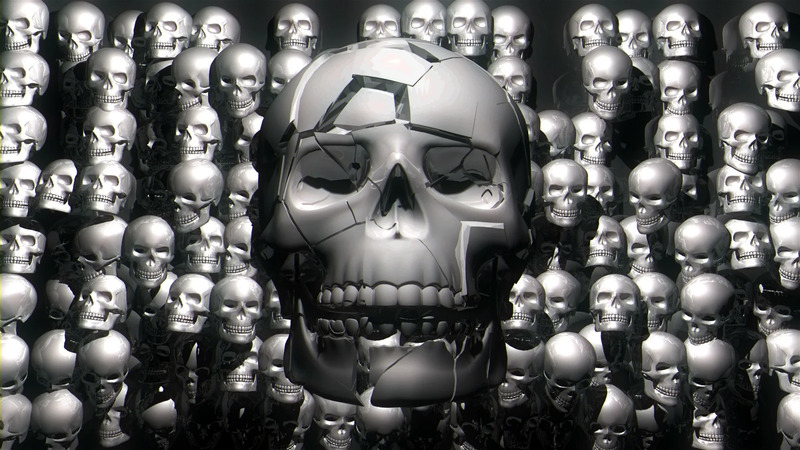 DOWNLOAD Silver Pulsing Angry Skull Full HD VJ Loop.